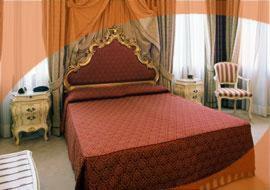 Casa Santa Maria Formosa, Venice discount hotels and accommodation. The Hotel is located just a few steps from San.Mark's square, and is overlooking the Canal of Santa Maria Formosa Square. The rooms of Locanda Formosa accurately recreate the old sophistication and style of 1700 Venice. Furniture and upholstery, with esteemed workmanship and fine materials, create highly elegant rooms with warm and striking tones. An atmosphere of subtle romance, ideal for all couples who choose Venice for their wedding. View photos, room descriptions and make online reservations at Casa Santa Maria Formosa. Save on room prices at Casa Santa Maria Formosa, Venice.